Celltrion said Friday that it has won the domestic patent appeal for chronic lymphocytic leukemia (CLL), one of the indications of Biogen’s Rituxan, the original drug for Truxima. The company filed a request for invalidation of the five patents for Rituxan-related indications listed in the Ministry of Food and Drug Safety (MFDS) from April to November 2015. The court invalidated four of these cases from August 2016 to July 2017. The recent ruling was the last appeal left by Biogen. The company filed an appeal to the patent court against CLL indications for patent invalidation in March 2017. However, the patent court sided with the first ruling and ruled the suit as invalid. Celltrion acquired Truxima's local sales license from the ministry in November 2016, followed by Europe EMA in February 2017 and U.S. Food and Drug Administration in November 2018. After its launch, the treatment has secured 35 percent market share in Europe and expanding its share in the global market. “Same as the ruling made from the Intellectual Property Trial and Appeal Board, the Patent Court has once again confirmed the legitimacy of the existing ruling by having a patent invalidation decision on the CLL indication for Truxima," a company official said. As the local patent invalidation lawsuit, an obstacle for Truxima in Korea, is almost completed, the company plans to establish a stable sales basis to provide a wide range of biosimilar treatment opportunities for patients who have not been treated with biopharmaceuticals due to high cost, he added. With the patent court’s ruling, the company’s shares are on the rise. 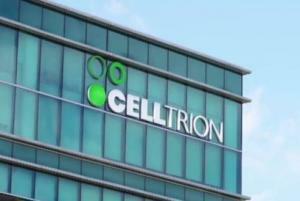 The stock price of Celltrion stands at 199,000 won ($177) around 11:30 a.m., a 1.79 percent increase from Thursday, while those of its subsidiaries Celltrion Healthcare and Celltrion Pharma also rose 2.66 and 3.33 percent to 65,500 won and 58,900 won, respectively.